Two developments in the immigration law area are causing employers a great deal of concern: the increase in so-called "I-9 Audits” and the Social Security Administration's resumption of the "No-Match" Letter Program. IRS reclassification of workers as employees can be an expensive proposition, as the employer can be held liable for back payroll taxes, penalties, and interest. Dealing with a disabled partner is never an easy matter. Human nature is such that many of us would find it difficult to ask a disabled partner to step aside due to his or her disability. Yet, this is often the only solution. Until recently, it has been fairly well understood that an employer can require pre-employment drug testing and refuse to hire someone who tests positively for illegal drugs. However, changes in the law with respect to the use of marijuana for medicinal purposes have made it difficult for employers to know how far they can go to maintain a drug-free workplace. That gobbledygook at the end of contracts matters greatly when disputes arise. 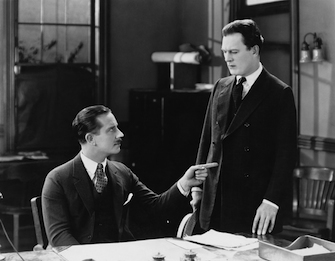 A termination decision should be communicated quickly, calmly, and concisely to the employee. Rapoport notes that it is a time for action not talk. Family-owned businesses present unique and difficult problems that are generally not found in other closely-held businesses. If you currently have a retirement plan that allows you to make large contributions, you may want to think about maximizing your contributions this year, as the opportunity may not be available in the future. It's also a good time to discuss personal contributions and 401(k) fee-disclosure rules with your plan investment adviser or broker. Does Your Business Need an Outside Board of Directors? An advisory board might be a better option for business owners. If you get a check and do not know why he received it, check with your retirement plan advisers first. Chances are the check belongs to your retirement plan. Regardless of the number of employees you have, you have to inform them of you policies. The best way to communicate these is through an employee manual. It will also provide your business important protection. How to navigate the murky waters of intellectual property rights. In this article, legal expert Mike Coyne differentiates between copyright and trademark and how they apply to your business name, slogan, fleet design and marketing materials. Get answers to questions about the new healthcare law. Improvements to the estate tax law in 2011 offer business owners and familyowned businesses some interesting planning opportunities during the next two years. Identify alternatives to terminating the company and keep emotions in check. Although social media has many benefits, be aware of the employer liability regarding employee’s participation on a social media sites. Trusts can provide benefits even for incorporated businesses. Find the best way to plan for your business to succeed whether or not you are present for the daily operations. Are You Using Contract Labor? 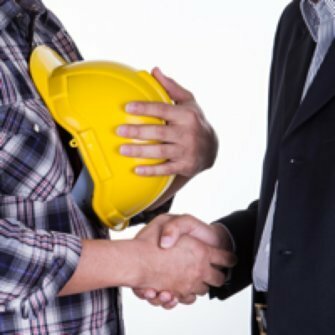 Congress considering changes to address 'worker misclassification' regarding independent contractors. Changes coming this fall but recipients won't be taxes on benefits. Readers raise questions about the healthcare reform and we answer. The problems facing small businesses due to healthcare reform are two-fold. Business owners should consider pitfalls and special circumstances before reviewing estate plans. Consider more than just the rental rate when evaluating commercial property and negotiating leases. Litigation is always the result of a failure of people to deal with each other reasonably. Too often, customers do not appreciate that such demands for protection against damages cannot be accommodated without exceptional costs that translate into significantly higher prices for services. Is Identity Theft a Looming Risk For Your Business? 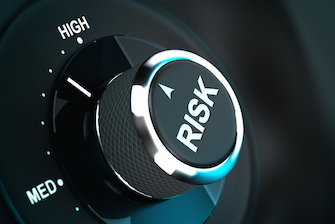 Companies that accept and extend credit need to comply with the new "red flag" rules. Several options focus on shares and voting. Also, consider alternatives before rewarding key employees with ownership shares. Agreements among shareholders concerning corporate control must be carefully drafted and usually must comply with very specific state laws. This is one time when a competent lawyer's help is absolutely necessary. This article will summarize the business, tax, and other financial considerations associated with the lease-versus-purchase decision. Ultimately, only you can decide which approach is best for your business. Every contractor should be watching what is happening with healthcare costs. If you already provide employee health insurance, you are well aware of how rising insurance premiums affect your business. Who Can See Personnel Files? Who in your company do you permit to see personnel files? The second question is a legal one: Who is permitted to see personnel files as a matter of law? 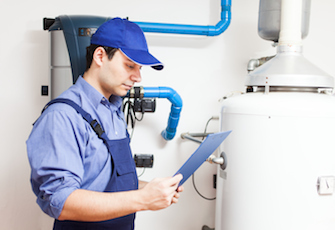 Is an hvacr contractor responsible for injuries to an employee by hazards in a customer's home? Whether you are a sole owner or in a partnership, considering estate planning issues now will ensure that your business survives and prospers later. Watch your accounts payable and establish internal controls to protect your business from falling victim. Forecasting your annual tax benefits for 2009 may help you increase your business. Mechanic’s liens can assist you in collecting from a non-paying customer; however, statutes exist in all 50 states, and the rules vary dramatically. Incorporate the option for alternative dispute resolution in your service agreements as an inexpensive and less detrimental way of resolving would-be problems. Whether an employee is labeled "salaried" or "hourly" does not answer whether the employee is entitled to overtime pay. The Fair Labor Standards Act has very specific rules regarding overtime pay, and every employer needs to be familiar with these rules. Permitting employees to "borrow" equipment is a bad idea. Detailed records are the best defense against potential false-claims allegations. Workplace Violence - Are You Liable? Your employees could land you in trouble. Retirement: What Plan Is Best? Indeed, properly planning for retirement will ensure you retire with the income you desire. But for many hvacr contractors, retirement is a foreign concept and providing retirement benefits to employees is a challenge. Being a good contractor means being truthful and fair. Know what is expected of you. Helping companies attract and retain good workers. If you happen to be among the 60,000 businesses that will be audited in 2008, don’t panic. Make certain your paperwork is in order and consult with your tax professional. Adopting workplace privacy policies is a prudent business practice. Identifying and acquiring businesses takes finesse. There are a myriad smart ways to reward key employees. Issuing company stock isn't one of them. 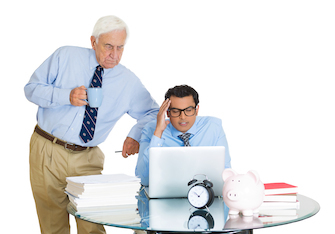 Understanding deduction and documentation regulations will keep you in line with the IRS. 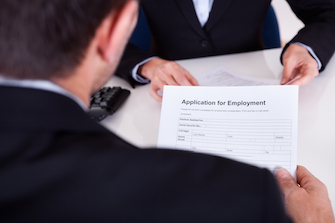 To find the best people, you need to adopt good hiring practices. 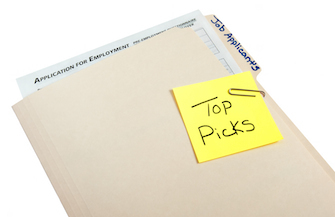 Pre-employment screening should be one aspect of these hiring practices. However, you need to be aware that there are important limitations on an employer’s right to pre-screen potential employees. Ask for proper information up front, and collect aggressively. Mike Coyne describes what an employee stock option program is and how it can benefit your company. What you need to know about military personnel's reemployment rights. How Effective Are Non-competition Agreements? If you need a non-competition agreement to protect your business, you will need to get legal help and follow these guidelines. Because skyrocketing health-care costs frequently limit an employer’s ability to increase wages, both employers and employees would benefit from controlling such costs. Will health savings accounts (HSAs) be the answer? It is too soon to tell, but employers considering such plans have much to consider. Written policies and clear instructions are two ways to protect your business from costly claims. The safest way to avoid problems under the immigration laws is to understand your responsibilities as an employer. A successful sale of any business requires planning, and some of that planning must start well before the business is even offered for sale. Here are some ideas on how to get your business, and yourself, ready for a sale. Commercial lenders have a great deal more latitude in designing their loan agreements. Likewise, borrowers have the opportunity to negotiate for terms that will fit their business needs. Your trade secrets may consist of customer lists, training manuals, financial records, contracts with distributors, and the like, that would be very valuable to your competition. Keep them secret with some of these simple, inexpensive steps. If you are planning on serving alcohol at your business or office party, here are some planning ideas that can minimize your liability risk. The Internal Revenue Service has rules for determining whether someone is an employee or an independent contractor. Corporate minutes can help ensure that owners shield themselves from being held legally responsible for corporate business failures. In addition, they can help quickly settle inevitable shareholder disputes, smooth business transactions and even help answer questions during an audit by the Internal Revenue Service (IRS). Why your limited liability company needs an operating agreement. 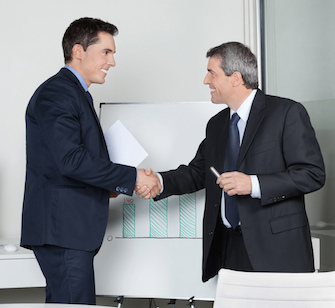 A good operating agreement can be a useful tool for running your business as an LLC. Find out why letters of intent may be binding and some practical advice when crafting them. Will Your Business Die With You? 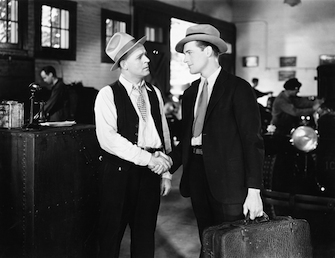 Strategies for leaving your company to family members.